Congratulations to those students who passed their rank evaluations on Friday night, July 24, 2015! Tyrese V. earned his Blue Belt; the first of the intermediate levels. 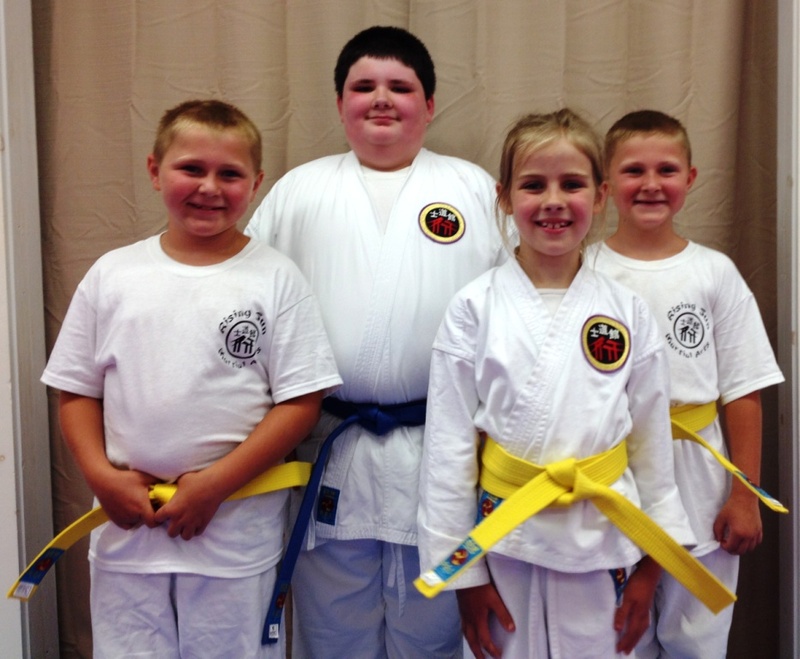 Lilija C., and Keith and Keegan S. earned their Yellow Belts. (l-r) Keith S., Ty V., Lilija C., Keegan S. were all promoted after a successful rank test on Friday evening. Rank testing is conducted each month for those students who qualify – meaning that they meet minimum class hour requirements and display positive attitude, good effort, and quality technique. Belts are not gifts – any belt worn by students in our dojo has been earned. This entry was posted in Announcements, News, Promotions and tagged promotions on July 27, 2015 by Kyoshi Brent Baker. Kung Fu Panda 3 – A Great Success!